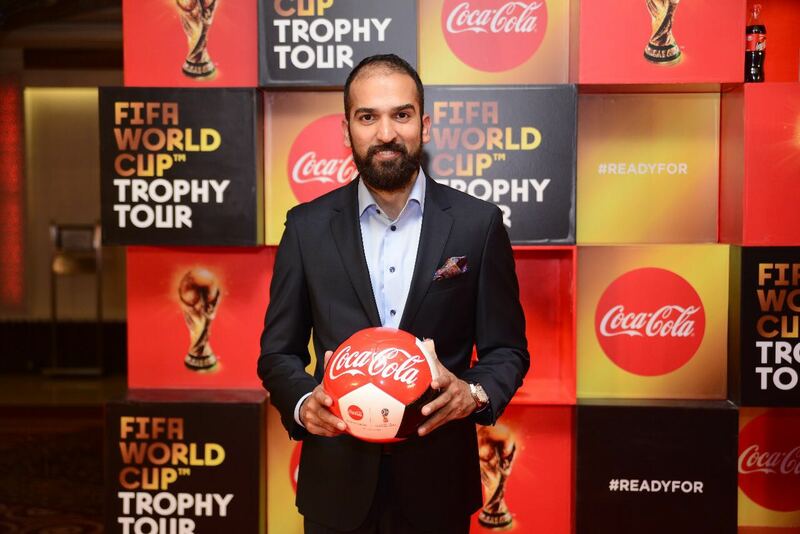 Coca-Cola will be bringing the FIFA World Cup Original Trophy to Lahore, Pakistan on February 3, 2018 creating a historic occasion giving Pakistani fans the chance to experience football's most coveted prize. 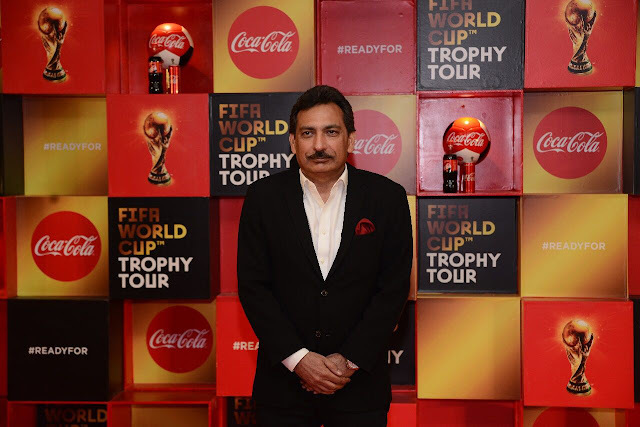 Rizwan U. Khan, General Manager of Coca-Cola Pakistan & Afghanistan remarked that the FIFA World Cup™ Trophy’s visit to Pakistan – a historic first for the country – is a proud moment not only for football fans but for the entire country, as it promotes a softer image of the nation on the global stage. “Pakistan has millions of football enthusiasts and we are extremely excited that Pakistan is able to be a part of the Trophy Tour this year. Coca-Cola has always been the pioneer in taking initiatives that resonate deeply with the youth and support their development. The FIFA World Cup™ Trophy Tour by Coca-Cola will give millions of people around the world the opportunity to get ready to taste the feeling of the world’s largest, most anticipated sporting event – the 2018 FIFA World Cup™. In hosting this momentous, international tour, Coca-Cola and FIFA invite fans to get up close and personal with the same trophy that is presented by FIFA to the winning country of the FIFA World Cup™. This will be a once-in-a-lifetime opportunity for thousands of fans to see the most iconic symbol in football and share their passion for the game. 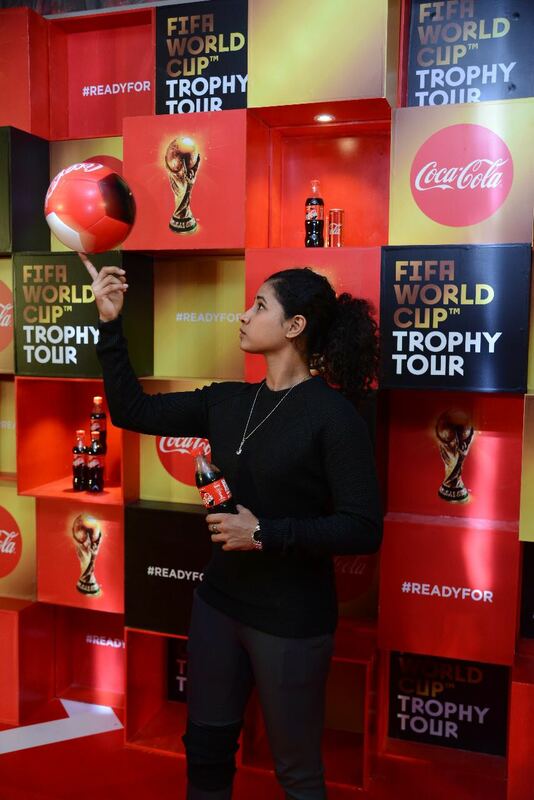 The FIFA World Cup™ Trophy Tour by Coca-Cola kicked off in September 2017 in Russia and will visit more than 50 countries across six continents, travelling 126,000 kilometers in the nine months leading up to the 2018 FIFA World Cup™. Within Russia, the FIFA World Cup™ Trophy Tour by Coca-Cola will visit 25 cities – the longest host country tour in history. A delegation of sixteen Pakistanis, including representatives from media, The Coca-Cola Company and Pakistan National Football Team, will join the Tour in Chiang Mai, Thailand to receive the FIFA World Cup™ Trophy and bring it to Lahore, Pakistan. The Trophy will remain in Pakistan for one day and will be unveiled for a viewing experience to the media and thousands of Football fans at the Coke Fest in Lahore. For Pakistani football devotees, the visit of the FIFA World Cup™ Trophy is just the beginning. 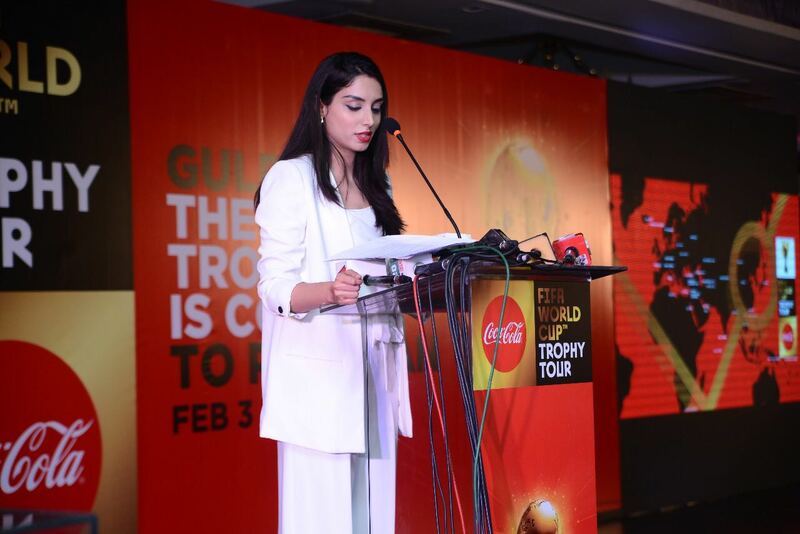 Following this historic event, Coca-Cola Pakistan will undertake a series of initiatives across the country to promote and celebrate the fans’ love for Football. In addition to the Trophy Tour, Coca-Cola will roll out a consumer promotion offering the fans a chance to attend the FIFA World Cup in Russia including a unique opportunity to represent Pakistan at the Coin Toss ceremony in one of the matches. The FIFA World Cup™ Trophy Tour by Coca-Cola is an extraordinary opportunity for people to take in a piece of football history and share with each other their passion for the sport. The emotions of seeing the FIFA World Cup Original Trophy will stay in football fans’ memory for a long time. The Coca-Cola Company has had a long-standing relationship with FIFA since 1976 and has been an official sponsor of the FIFA World Cup™ since 1978. Coca-Cola has had stadium advertising at every FIFA World Cup™ since 1950 and is a long-time supporter of football at all levels. This is the fourth time that Coca-Cola and FIFA have come together to bring the Trophy Tour to the world.